Read all the smart advices about the life in Porto, Portugal and the shopping places, restaurants, attractions and the accommodation options in the city. Porto is the second biggest city of Portugal that is sometimes referred to as Oporto. It has a global city status along with other Iberian Peninsula global cities like Valencia, Lisbon, Barcelona and Madrid. The city of Porto is proud of its heritage as a mercantile city and it is styled after the name “the invincible city” for resisting Napoleonic forces of the bygone era. The beautiful Porto showcases both modern and medieval architectures both of which are picture perfect. The climate in Porto is somewhat like the Mediterranean climate, however being located by the Atlantic Ocean gives them a much cooler climate. Winters are humid, mild and sometimes the temperature could go below the freezing point. The summers are warm and August is well-known for heat waves with temperatures as high as 104F. The language spoken is Portuguese and Spanish. The climate in Porto is somewhat like the Mediterranean climate, however being located by the Atlantic Ocean gives them a much cooler climate. Winters are humid, mild and sometimes the temperature could go below the freezing point. The summers are warm and August is well-known for heat waves with temperatures as high as 104oF (40oC). The language spoken is Portuguese and Spanish. The city is also a center of culture, arts and history with plenty of things to meet the requirements of all kinds of people. The city has a fast paced lifestyle as what modern and industrial cities usually have but, on the outskirts of the city, life can get slow and dream-like. Porto is situated within the country of Portugal in Southern Europe. It is beside the River of Duoro and considered as one of the oldest historic center in Europe. Traveling to the old and historic Porto is a great way to spend your vacation because it offers plenty of different sights and smells. Here are the top places to check while you are in the city. Meaning “Stock Exchange Palace”, Palacio da Bolsa is a 19th century neoclassic architecture and a UNESCO world heritage site. The Arab Room of the building is a huge crowd drawer, including several other rooms. Porto Cathedral of 11th century showcases a Romanesque rose window, Baroque porch, Gothic cloisters, Baroque loggia and a heterogeneous architecture that will surely amaze any visitor with its amazingly intricate designs. It is a great starting point for your walking tour of the UNESCO World Heritage Sites of Porto. It also gives a postcard perfect view of the charming Ribeira de Gaia. It is also known as the Pavilhao Rosa Mota for its beautifully manicured gardens and multi-purpose pavilions. Tourists can have a rest here while enjoying the beautiful garden. MUUDA is brought to life by Portuguese designers who offer arts, gourmet, shoes, jewelry, books, objects, and fashion products to customers. It is located at Fua do Rosario. If you are staying in the area for several days, you may want to visit Mercado do Bolhao for its fresh supply of meat, fish, vegetables and fruits. It is considered as among the Porto’s emblematic places. This is a busy shopping street where you can find souvenirs, handcraft stores and boutiques that will surely amaze you with their local products. If you are looking for big department stores or shopping complexes, then these three places are the perfect spots that you are looking for. They are complete with high end brand names and luxury goods. 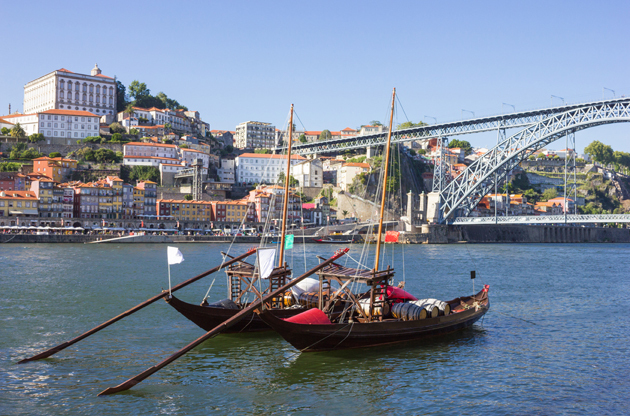 Porto has plenty of local cuisines to feast your palate. Locals are called Tripe eaters or Tripeiros in the local language. So, don’t miss out on the city’s tripe delicacy! This 19th century architectural wonder takes you back down memory lane and lets you experience dining in such a setting. You can visit here for desserts, dinner lunch and breakfast. They are quite well-known for the best tasting Portuguese Cuisine in the city. Check them out at Rua Costa Cabral. Can’t get enough of Portuguese cuisine? Then try out this Portuguese cooking straight from the region of Alentejo. This is not a club but it is a district in Porto that is located along the riverfront that’s filled with the clubbing establishments to your picking. It offers a great party ambiance, overlooking the river and the beautiful town of Vila Nova de Gaia. If you are looking for a wonderfully breathtaking view of Porto with a bar to set the tempo of your night, then Praia do Ourigo is the place to be! Did you know that Porto is a wine capital? Yes, it is and a tour of Porto’s different wine caves with tasting these mind blowing wines will make a great experience. You can choose between a day long cruise and a 50-minute cruise upriver of Porto city where you will be greeted with stunning vistas. If travelling by public transport, do get a Porto Card which is valid for use in city sights entrance and the public transit. Avoid wandering around the streets late at night especially if you are alone. The favorable climate, accessible location and the rich cultural and historic heritage of the city, makes Porto an ideal destination for international business events. Every year, a considerable amount of the delegates from all around the world come to Porto for these high class events like symposiums, conferences, congresses, trade shows, fairs and exhibition so that Porto becomes more and more charming as a host city for global gatherings.